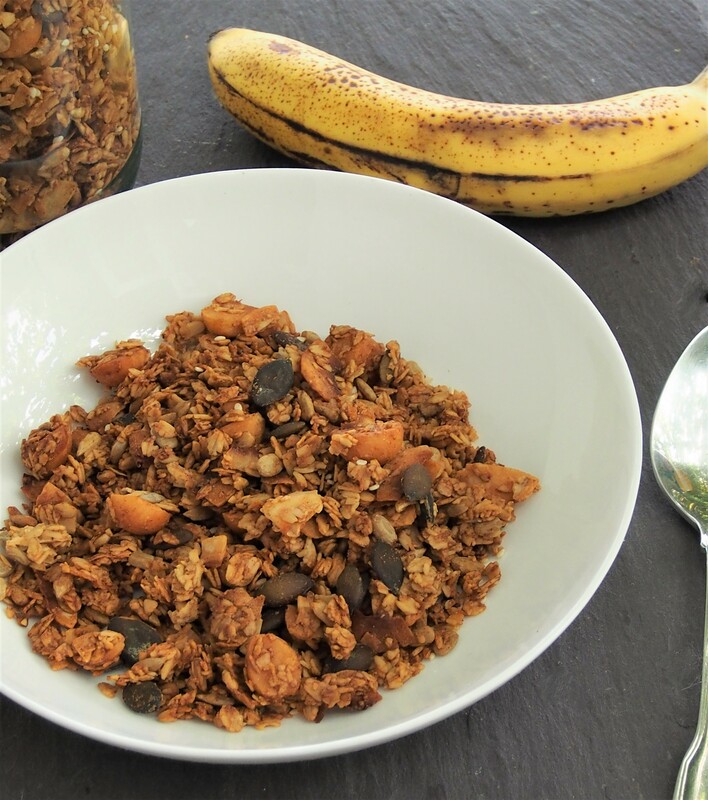 Do you have bananas ripening way faster than you can eat them thanks to this crazy weather? 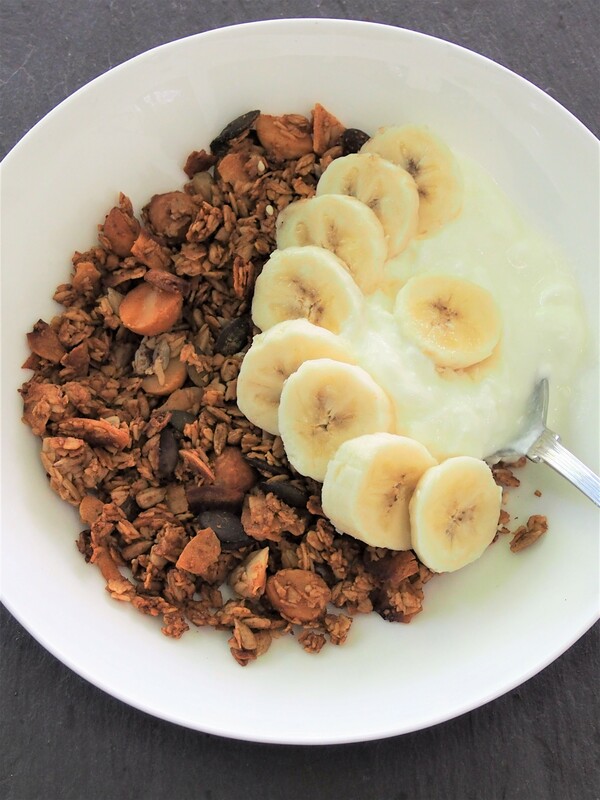 yet another very ripe banana! 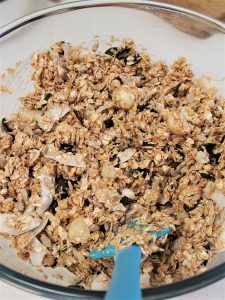 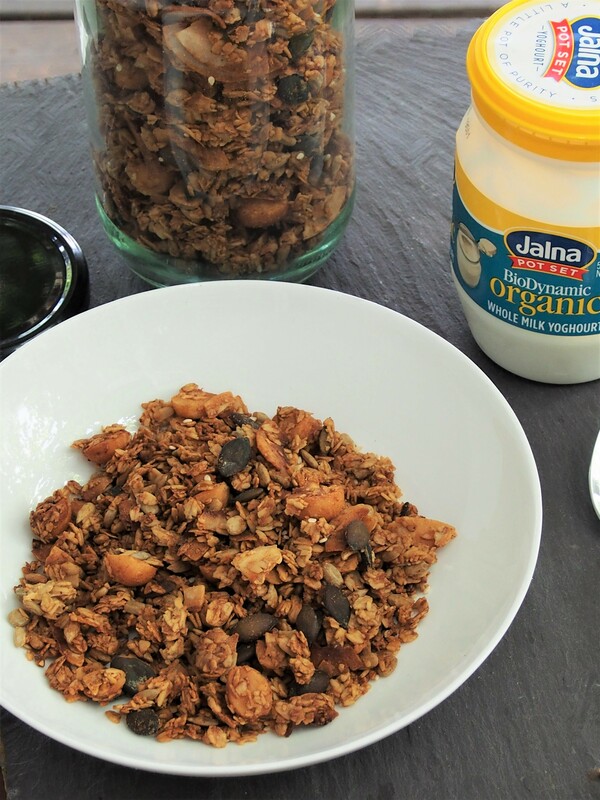 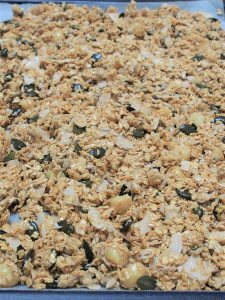 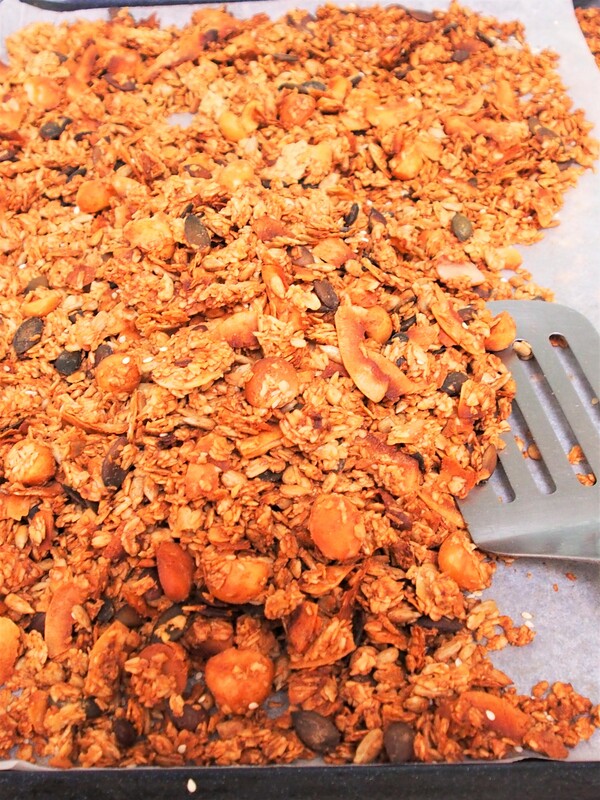 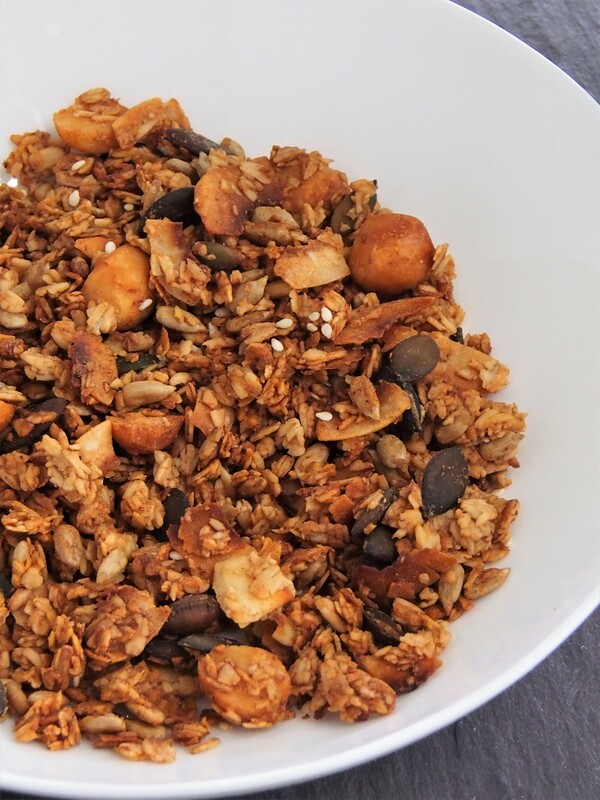 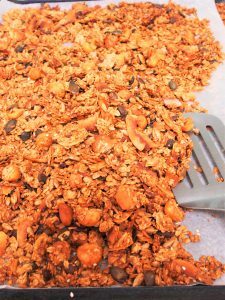 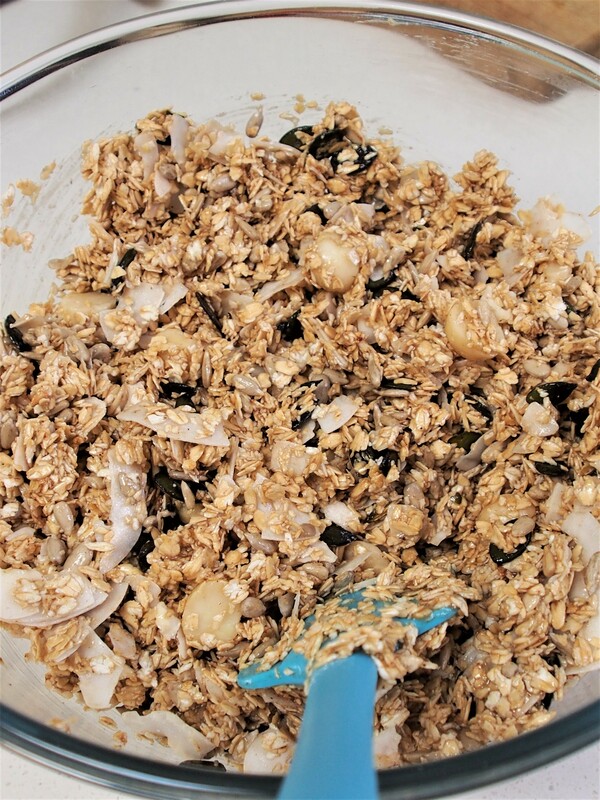 I’ve seen some healthier biscuit recipes using banana in them, so I kind of used that idea and combined it with the fact that my husband usually tops his muesli with a banana to make this – my Crunchy Banana Granola…. 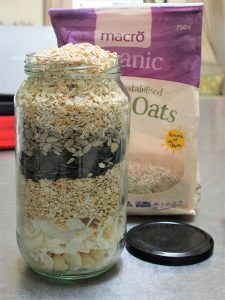 To save time when making it, I measured out all the dry ingredients during the week and stored them in a jar. 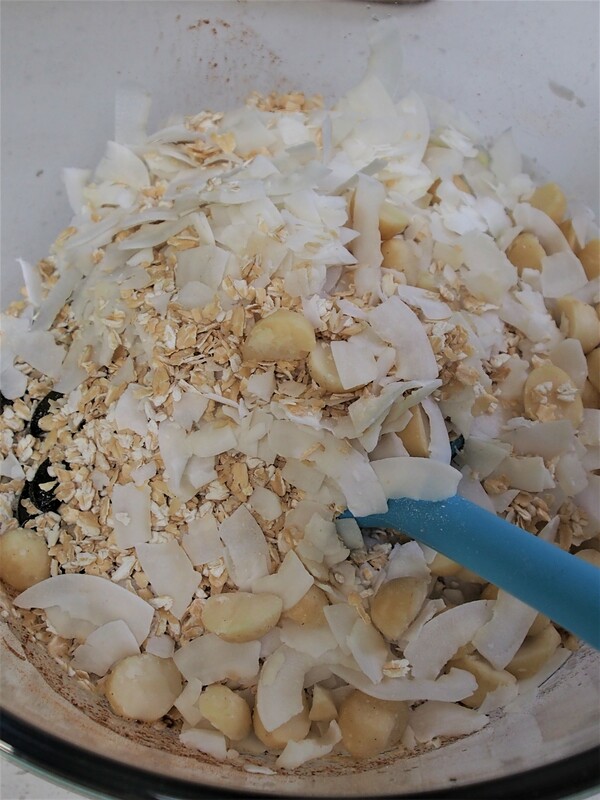 I then just had to make the banana ‘mash’ and add the pre-measured dry ingredients. 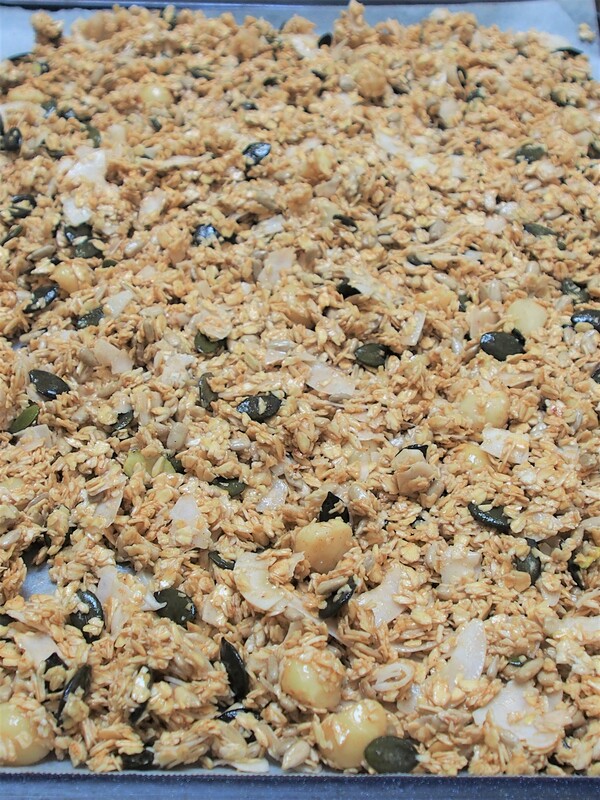 Doing it this way, the muesli was put together in what seemed like no time at all! 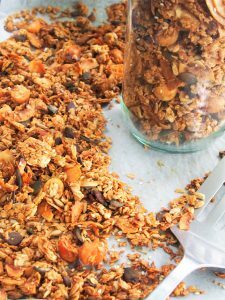 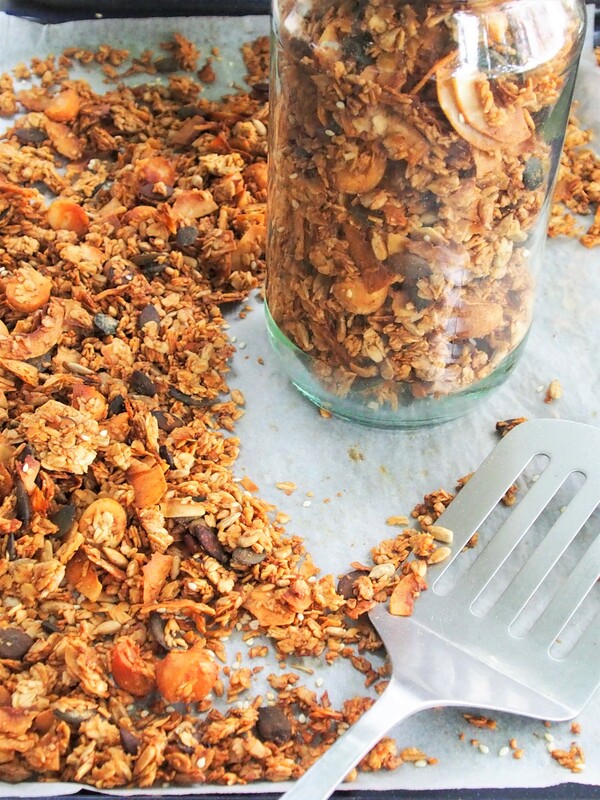 And when the granola is cooked and cooled, use the same jar to store it in! p.s. a serve is 1/3 – 1/2 a cup!